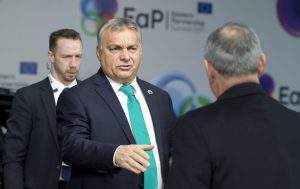 Budapest, April 8 (MTI) – Opposition parties on Saturday protested a bill submitted to parliament by MPs of governing Fidesz that would require civil organisations to disclose foreign funding. The government has “pulled a new card from the pack of Russian President Vladimir Putin” with the submission of the bill, Gergely Arató, a politician with the leftist opposition party Democratic Coalition (DK) said at a press conference on Saturday. The proposed legislation would stigmatise civil organisations, damaging their credibility and making them out to be foreign spies, he said. This was last a common practice under the dictatorship in the 1950s, he added. The government’s steps are unfounded, because civil organisations operate in a more transparent manner than the government, he said. The government’s reasoning that the proposed legislation is necessary to prevent money laundering and terrorism is misleading, he added. 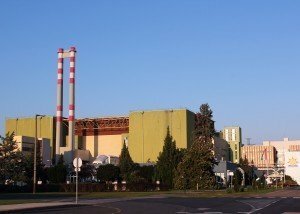 With this measure, the government wants to counter European Union values and move Hungary closer in the direction of Putin’s Russia, waging war against its own citizens and preventing people from speaking out, Arató said. Green opposition party LMP called on the government to withdraw the bill at a press conference on Saturday. 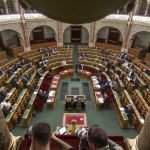 Party co-leader Bernadett Szél said the bill is a “provocation” and “totally absurd”. “The government must withdraw this shameful bill which is good for nothing,” she added. LMP’s other co-head Ákos Hadházy said MPs of governing Fidesz who submitted the bill had said it aimed to create transparency among supporters of civil organisations, but this is not the case. The bill draws attention away from genuine problems and stigmatises oganisations that the government does not like, he added. 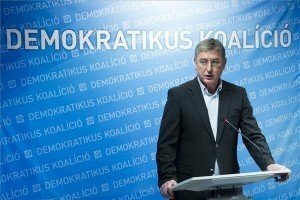 In a statement responding to the remarks by the DK and LMP politicians, governing Fidesz said the left was again defending the interests of organisations funded from abroad by the billionaire George Soros, rather than the Hungarian people. 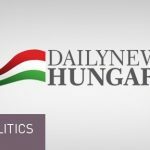 The aim of the bill is to expose for everybody organisations that are funded with foreign money and controlled by foreign interests to try and influence civic life in Hungary, such as the country’s stand on immigration, Fidesz said. The law is based on precedent, namely legislation in the United States of America that has required the registration of organisations that receive foreign support since 1938. The bill would require organisations that receive more than 7.2 million forints (EUR 23,000) in foreign support to declare that support.